how government units at the local, county, state and federal level can violate your rights, and have many ways to be protected from legally being held accountable. We focus on the State of Montana. Legal_issues, a photo by klaussmeister on Flickr. 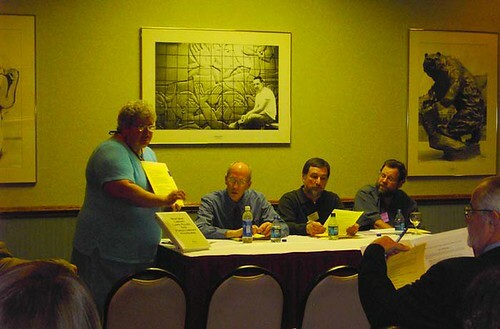 Darlene Staffeldt, in this 2006 Photo "discuss library law and what it means for public libraries." Staffeldt then goes on to ignore violations of state library law, mission, constitutional rights, negligence, and public fraud at a member public library. Time for a resignation of Montana public official gone bad. Ms. Staffeldt accused me of being a criminal....and forgot to see her own problem of not upholding Library Mission with funding, and correcting problems at member libraries. UPDATE: like many other corrupt Montana officials (too many to list here) Ms. Darlene Staffeldt is retiring from not upholding Montana Library Mission. The Bitterroot Public Library has a reputation in the world for not upholding rights; Darlene Staffeldt chose to fade away instead of doing the right thing. Why are Montana officials so "bendable" to violate their constituents rights? Darlene Staffeldt's hypocricy was a fast track to being unemployed. Bye-bye Darlene. The Bitterroot Public Library lost $510,000/yr in public funding. Bitterroot Public Library wants your house, abuses people's rights, violates state law. Bitterroot Public Library staff make known false statement to law enforcement, city leases library to Bitterroot Public Library for $1, city does not lawfully exist, public fraud of taxpayer dollars. 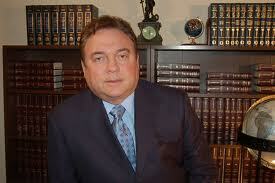 Uses ineligible city insurance to protect them from civil rights lawsuit. This is a true account conveying how Angela B.Wetzsteon, former University of Montana law student practiced law [unsupervised] without a license, and got away with it in the State of Montana. 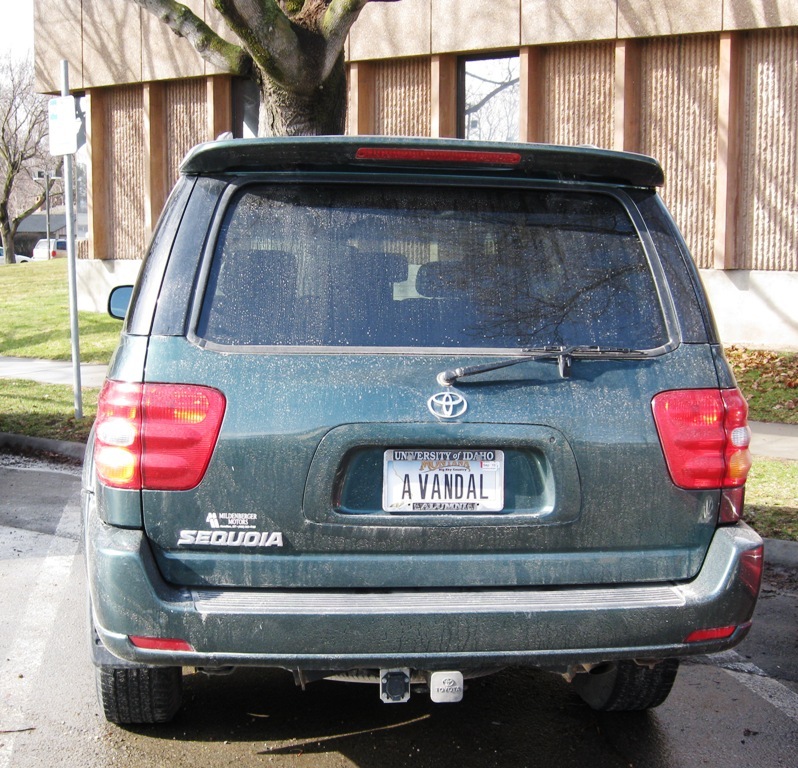 Her own vanity license plate "A VANDAL" reflects so perfectly exactly who she is. Angela Wetzsteon of Corvallis, Montana prosecutor for the notorious Ravalli County Attorney Office Hamilton, Montana (USA?). Her former boss, George Corn and accomplice in crime Steve Bullock [now Governor --described in detail below]. many people seem to be requesting Angela Wetzsteon's email address. If it wasnt changed, the email address was: awetzsteon@rc.mt.gov (the rc stands for Ravalli County). This is a public work email address. A supervisor who helped and protected Angela Wetzssteon is new county attorney Bill Fulbright his email is bfulbright@rc.mt.gov . Note-- these email addresses have been changed several times since 2010. Updated 2014. George Corn is protected by Milt Datsapolous and is senior attorney in Hamilton MT and can be reached at (406) 961-9003 mountain time. George Corn was Angela Wetzsteon's supervisor and should lose his lisense to practice, as should Angela Wetzsteon--but Montana has no law. 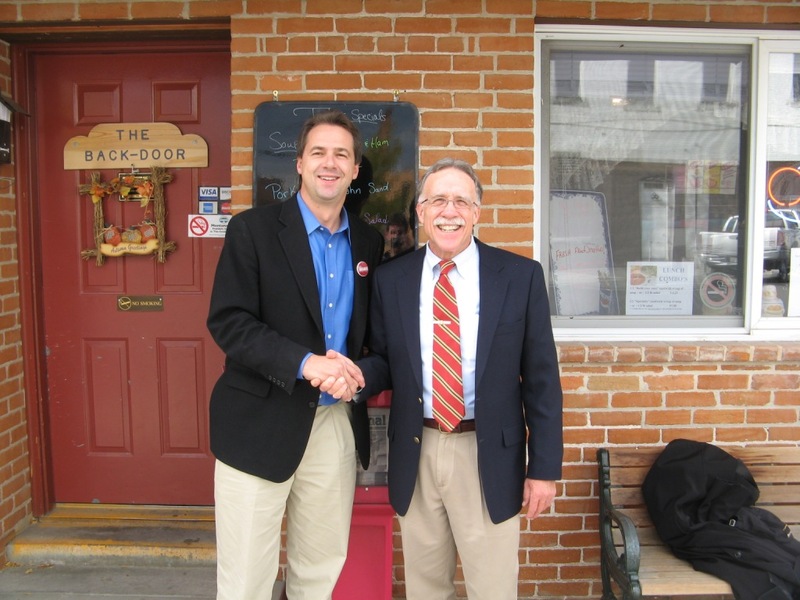 courtesy of Bullock for AG--the only county prosecutor pictured in Bullocks bid for AG. Bullock is now Governor of Montana, because we are run by corrpution and criminals. see www.GeorgeCorn.com for info on George Corn. WARNING TO MONTANA LAW STUDENTS: YOU ARE NO LONGER PROTECTED. Angela Wetzsteon introduced tampered evidence, after discovery, violated speedy trial, tried the victim, Michael Spreadbury (decorated FEMA officer deployed at a disaster at time of "court date") in absentia [violation of right to confront witnesses, and "offense" was use of justifiable force--protecting property a supposed "inalienable right" in Montana]. Angela Wetzsteon unnecessarily bullied witnesses on the stand, entered tampered evidence AFTER discovery, the Judge had to intervene by telling her to stop bullying witnesses on the stand in his court; her supervisor was not there [George Corn www.GeorgeCorn.com]. Case was dismissed on appeal---after it was too late for Spreadbury's career at FEMA (case took 18 months to resolve). Angela Wetzsteon attended the 145/145 ranked law school in the country--The University of Montana Law School in Missoula MT. The last ranked law school in the USA (2012). Angela Wetzsteon decided to have some fun with some friends by laughing at a former decorated FEMA officer, reduced to mopping floors in the local ER due to malicious, and unlawful prosecution by an unlicensed law student by the name of Angela Wetzsteon. this site also shows legal history of attempting to hold Angela Wetzsteon accountable for crimes. Prior to that, Angela Wetzsteon apparently learned how to be a vandal, at the University of Idaho. Wetzston continued this stealing spirit by not applying either ethics, or an adherence to Constitutional rights in a court of law, and as the montage of photos suggests, she has had some "heavy lifters" as support. Angela Wetzsteon was protected by the Montana Supreme Court for violating one of their own orders (#12982; student practice) levied by her decision to practice law in this building without a license. We call that stealing, Angela. Angela Wetzston's car touting herself as a vandal, we prefer lawyer scum, lawbreaker, and unethical; but technically, yes Angela Wetzsteon is a vandal, by her own omission; and admission. Look up student practice in any law database: Lexus, Westlaw and an interesting name will come up: Angela Wetzsteon. Angela Wetzsteon has done this to herself, and lets make sure she gets a life sentence of working for Ravalli County: no other employer should hire Angela Wetzsteon '08 for this proven criminal act of violating a court order. Prosecutors (Mike Nifong--Duke Lacrosse) get disbarred, jailed for this: same contempt of court, but the North Carolina is not ranked last for justice as Montana is. Montana is under the jurisdiction of the same US Constitution however. AG Steve Bullock makes sure Montana is the last best place for JUSTICE and protects criminal acts herein. See http://www.MontanaPoliticalNews.com more on Steve Bullock. Steve Bullock protected Angela Wetzsteon using public funds, and in violation of Montana Ethical Rule 5.5 [fraud of public funds is the #1 criminal priority of the FBI, if you believe in them]. Not without mention is Steve Bullock, Montana Attorney General for spending thousands of state resources (Tort Division--Michael King) to protect Angela Wetzsteon, the Vandal. In literature, a scarlet A was embossed on foreheads for adulterers, we thank Angela Wetzsteon for her self imposed sentence: YES, YOU ARE A VANDAL! You sidelined some body's life and decided you were above the law. Ms. Irma Russell, Dean of the University of Montana Law school would rather introduce Eric Holder, and hood Bob Bennett as an honorary doctor of law than take any action on the illegal practice of students at the University of Montana, or meet with members of the public. she resigned in 2013 as Dean of the Montana Law School. Did we mention the University of Montana is a public funded institution (oops!)? In a speech recently given by Dean Irma Russell, she said the law school is well woven into the fabric of the State of Montana...which means we produce VANDALS that fit right into the last best place for justice. Even the best and brightest can be compromised upon moving to Montana. "....moving to Montana soon... (Frank Zappa)"
1. Former clinics Director Peggy Tonon refuses to turn in Angela Wetzsteon, tutors in 2011. 3. Advisor Bari Burke looked the other way for Angela Wetzsteon's misconduct: its a girl power thing. 4. Constitution Professor majored in violating Montana Citizens rights at the Attorney General office, as is former Dean Eck as Consumer Protection Chief. Want to move to Montana now? 6. Senator Max Baucus protects Angela Wetzsteon, George Corn for criminal contempt and resigns to live in China as his Obamacare law is looked at in the courts. Thank you for labeling yourself as a VANDAL Angela Wetzsteon, this will bringing some very important people down with you. Good luck with that political career Mr. Bullock, you should not have protected a VANDAL with our public tax dollars. The old entrance of the UM law school. We would have turned you into the US Justice Department for public fraud (their #1 criminal investigation...supposedly). The public will judge Steve Bullock at the polls in November 2012, that is if the fraudulent election filing holds up (no office stated), Steve Bullock has demonstrated to the public of his confidence to threaten citizens, cover up criminal activity in Montana. Bullock's 'native' status should elevate him to be Governor of Montana....NOT! The Dean of the Columbia law school has been informed of Steve Bullocks availability for Faculty after 2012. George Corn, after being canned by Ravalli County is now willing to continue the improper influence on local judges by working for Datsopoulos, McDonald & Lind in Hamilton, MT. We have actually contacted approximately 15 Deans in the USA who are members of the American Association of [LETS COVER THIS FELONY UP FOR WETZSTEON.COM] Law Schools or AALS. From Stanford to NYU....these deans know....as do the executive committee, they are all Jimmy Deans now. Prosecute Angela Wetzsteon's supervisor: George Corn, Attorney General Bullock for protecting an unethical situation, violates Montana Ethics rule 5.5 (helping unauthorized practice). So Cheers Angela....there is nothing to stop you from doing whatever you want....law means nothing. as of 2007, Hamilton decided to criminalize normal behavior. This site is all about it. Victim of evidence tampering, prosecutor misconduct [crime, actually not just misconduct]. See what we mean: We documented it. Michael Spreadbury in Montana. Simple theme. Powered by Blogger.